Since i upgraded to kubuntu 14.04, my Eclipse crashes at different situations. Mostly i can "simulate" it when going to project properties and press ok. Then it always crashes. Now, as soon as i change SystemSettings -> Application Apperance -> GTK -> GTKn-Design to something else but "oxygen-gtk" this crash doesn't happen anymore. or other GTK warnings from the particular design, not having theme-engine. Which actually doesn't cause any crahs it seems so far. What can i do to solve this issue without changing the design settings? You've hit the following bug that is not fixed yet: https://bugzilla.gnome.org/show_bug.cgi?id=736323 . 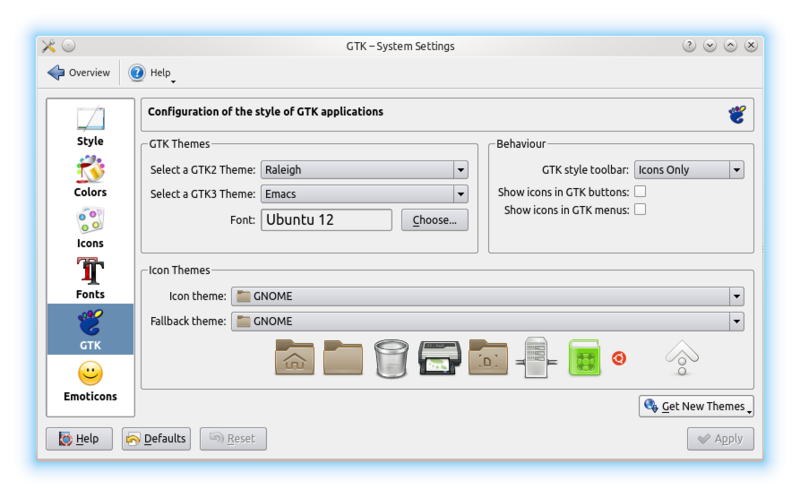 Find your GTK2 theme config file. For Oxygen it is /usr/share/themes/oxygen-gtk/gtk-2.0/gtkrc. Edit the theme config file (as root): change GtkComboBox::appears-as-list from 1 to 0. Not the answer you're looking for? Browse other questions tagged 14.04 java themes gtk crash or ask your own question.